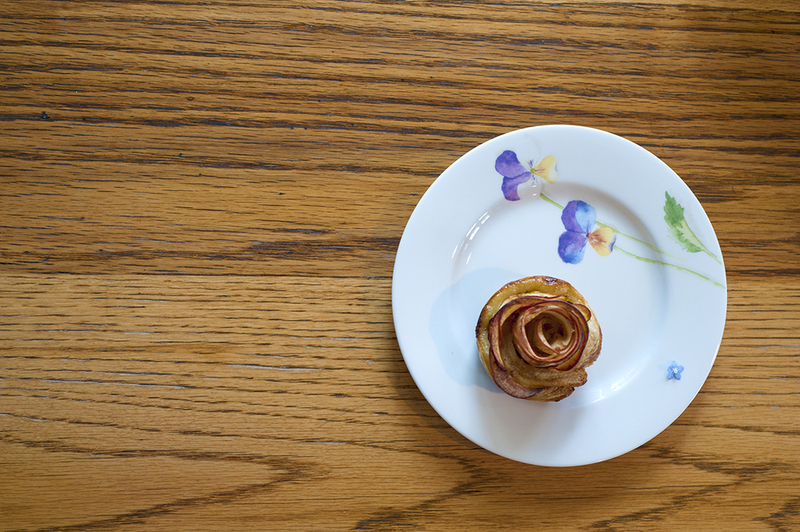 Roses are red.Violets are blue.These apple roses are perfect, And so are you! One thing that I am hugely grateful for living in Chicago is the ability to go home to Libertyville and see family whenever I want. New York City is my favorite. I love Chicago, but it was hard to surpass The Big Apple. There is something about the environment, the lifestyle, the people, the pace of life. It is a lot. And it can eat you up. But I love it. But at the end of the day, it was so stinking difficult to get home to see family. This was a huge downfall about living out East. I am a family guy. I enjoy spending time with my parents, my siblings, their family. I thrive off of that. So having the ability to take an hour train ride home makes the world of different. Getting the chance to go home this past weekend to spend a few days with my parents, and my mom specifically - hello Mother's Day, was incredible. A lovely walk around the forest preserve. A latte at a local coffee shop. Some summer wedding suit shopping. Lots of baking and cooking. And a whole lot of family time. I couldn't have asked for anything more. 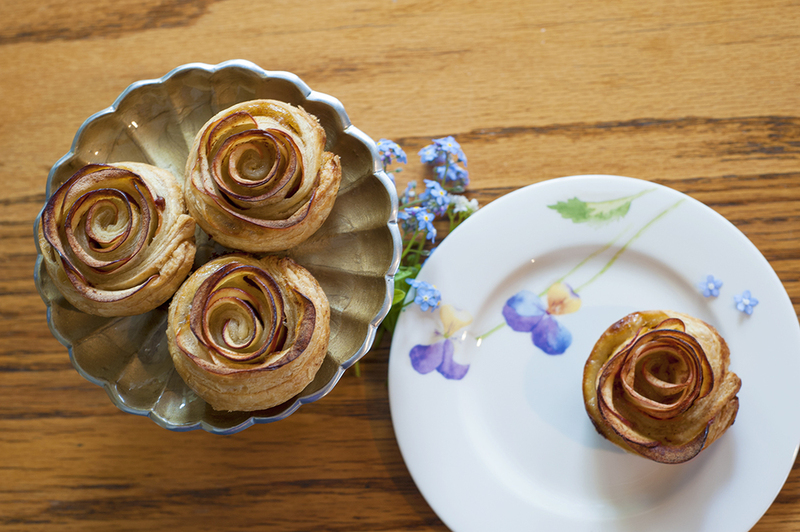 These apple roses are the perfect extra something for that special someone, in this case it was for my mom. Forget the labor that goes into constructing these pastries (really, it was not as difficult as it seems, just a few steps repeated over and over. ), the presentation alone makes it all worth it. Make then as a desert to a spring meal or side bites for a brunch or tea. 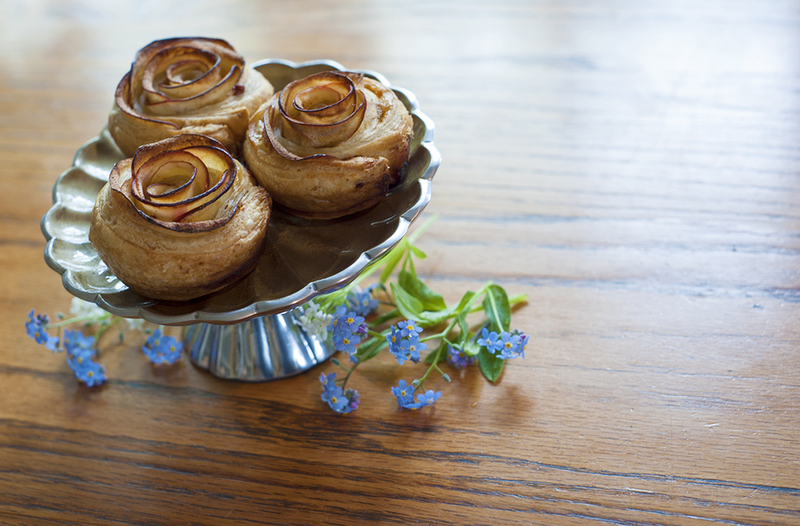 I would make these again in an instant. Feel free to top with a little powdered sugar or leave as is - beautiful and perfect in every way. Thaw the puff pastry, it should take about 20-30 minutes. Prepare a bowl of water and lemon juice. 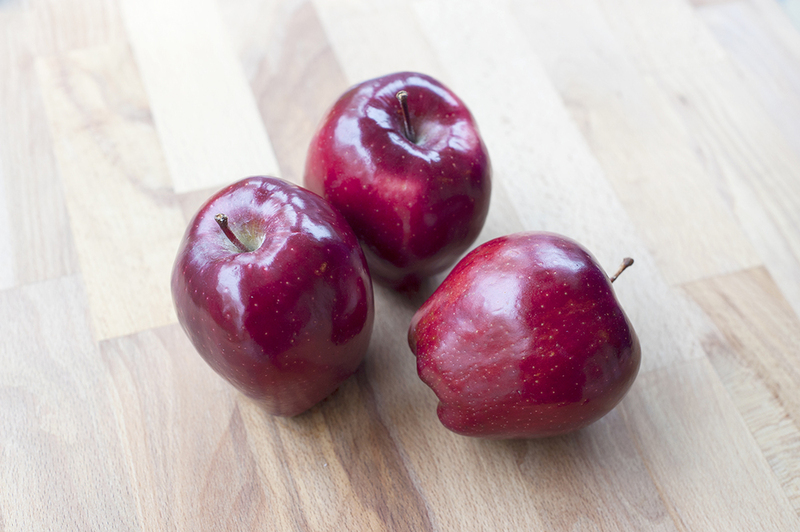 Cut the apples in half, remove the core and use a mandolin to slice the apples thinly. Immediately place the apples in the lemon water to help prevent them from changing color. Microwave the apples (in the lemon water) for about three minutes. This will make rolling the pastries easier. Unwrap the puff pastry over a clean and lightly floured counter. Using a rolling pin, stretch out the dough, trying to keep its rectangular shape. Cut the dough into 6 strips. In a bowl, mix 3 tablespoons of apricot preserve with 2 tablespoons of water. Microwave for 1 minute, this will make the preserve easier to spread. 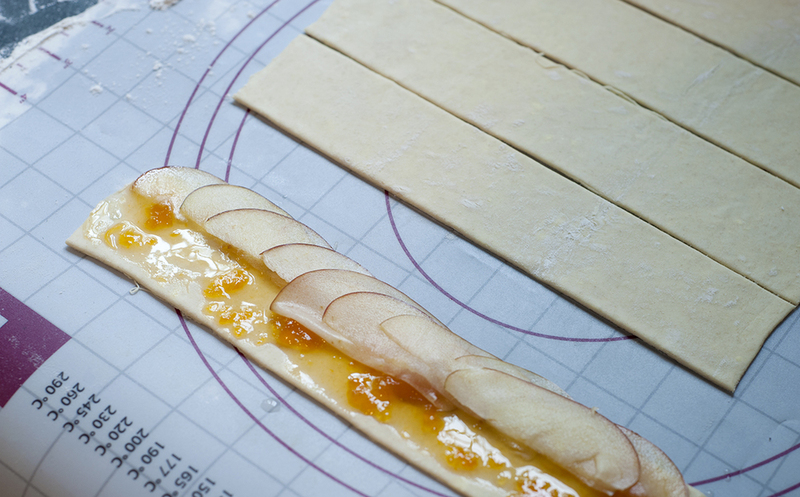 Spread a thin layer of apricot preserve on the dough. Place slices of apples across the dough, overlapping slightly. Lightly sprinkle with cinnamon. 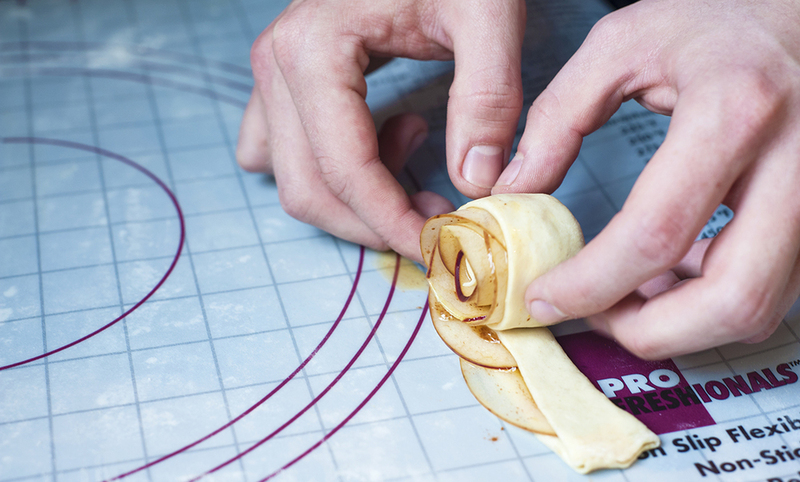 Seal the edges and carefully roll. 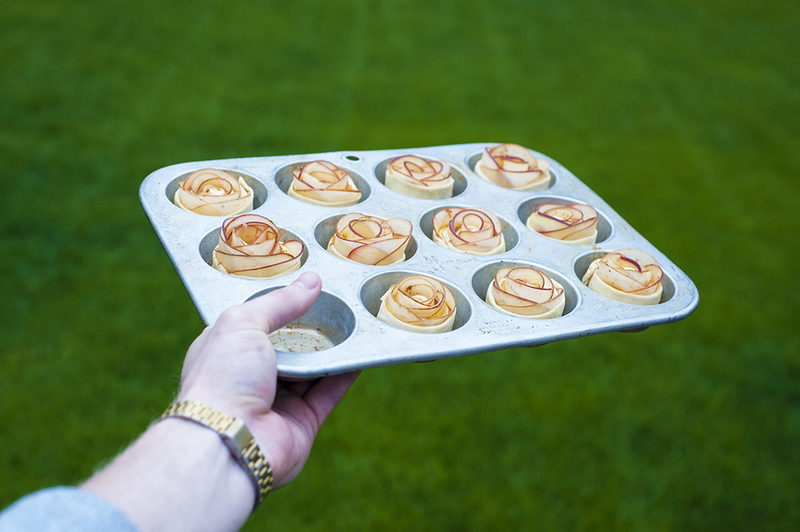 Place the apple rose into a grease muffin pan. Continue for remaining roses. Bake at 375 degrees F for about 40-45 minutes, until fully cooked.